It is no secret that the Richmond City suburbs are booming with New Construction. New job opportunities such as Co-Star, Amazon, and Capital One have prompted more people to call the RVA, home. Neighborhoods seem to spring up left and right and development in the area is at an all time high. In fact, Richmond was the seventh fastest-growing area in 2017 in terms of New Construction while new home sales were up 6% in 2016 and still continue to climb. Although Ray A. Williams Custom Homes may not make the list for most closings, they do blow builders out of the water when it comes to client satisfaction, craftsmanship, and innovation. 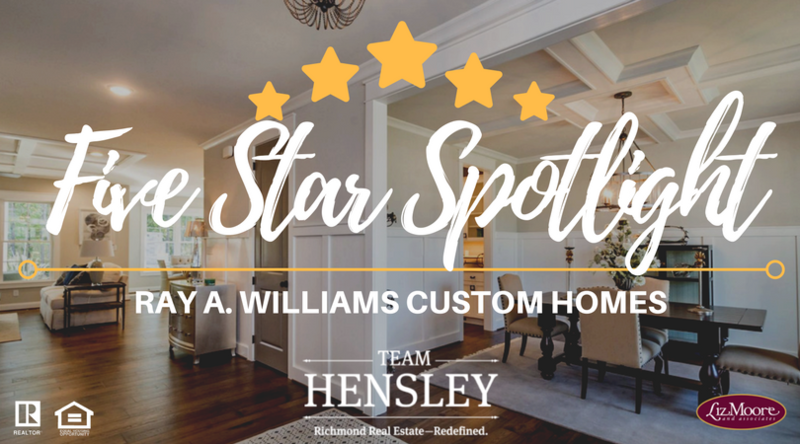 Unlike some builders in the Richmond Area, Ray Williams puts his focus on creating custom dream homes for each family as opposed to just giving options on finishes and paint colors. Ray Williams and his wife Peggy have been in business since 1978 and added their son, Ray Williams Jr., to the team in 1994. 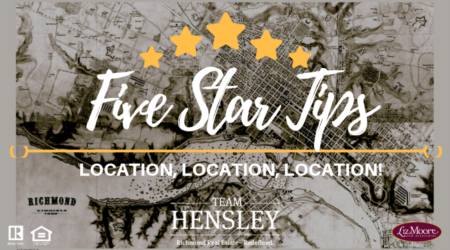 They have received numerous awards for their homes and serve the greater Richmond area including counties such as Powhatan, Amelia, New Kent, and more! All of these communities are great for families and offer top-notch ammenities such as pools, water parks, golf courses, club houses, and more! 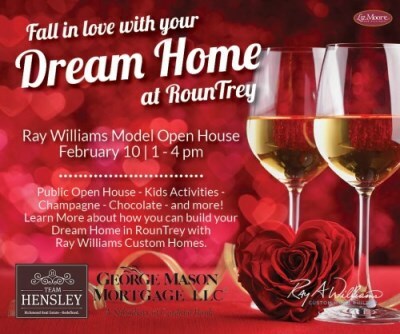 Team Hensley Real Estate is actually hosting an Open House at the Ray A. Williams Custom Homes Model in RounTrey at 3731 Graythorne Drive in Midlothian this Saturday where you can Fall in Love with Your Dream Home. We will have kid's activities, refreshements, FREE give-aways, and more! 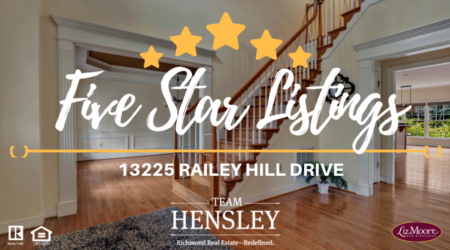 Stop by and learn more about how you can build the home of your dreams with Ray Williams and Team Hensley Real Estate. Even though Ray A. Williams Custom Homes is known for New Construction, they have previous homes they have built and spec homes for sale throughout these communities. If you want to know what's availble, all you need to do is fill out the form below and our team will be happy to send you anything that is currently available!